RACINE, Wis., April 1, 2019 /PRNewswire/ -- SC Johnson today is announcing its intention to use geothermal energy to power its Racine headquarters, a move that will greatly reduce the company's environmental footprint and positions the company as a leader in the private sector in the transition to cleaner, renewable energy sources. SC Johnson plans to install a GeoExchange system at its iconic Frank Lloyd Wright-designed campus to provide sustainable heating and cooling throughout the facilities, using the constant temperature of the Earth. The project – which is pending city and state approvals – is expected to reduce energy usage by an estimated 42 percent. There is a 40 percent reduction made up of decreasing consumption from the implementation of a GeoExchange system, including transforming the current boiler facility to a new energy efficient thermal plant, and an additional 2 percent reduction by utilizing PV for renewable energy. Combined with other sustainable projects, the facility will save another 15 to 20 percent in energy usage, resulting in a total facility-wide reduction of 57 to 62 percent of the current energy load. 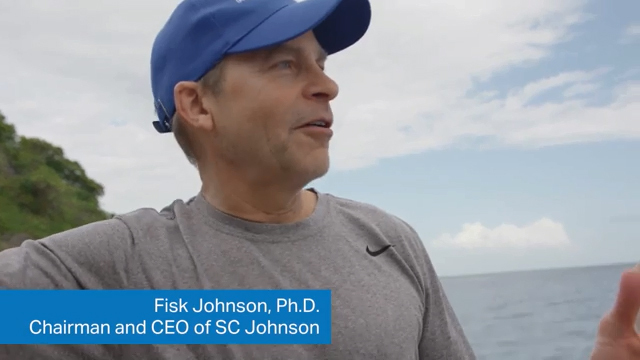 "As a global company, you think about your footprint in all the places you operate and how to minimize your impact," said Fisk Johnson, Chairman and CEO of SC Johnson. 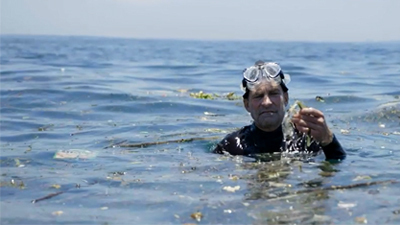 "Leading the industry in an environmentally responsible manner starts at home. For us, that meant taking a look at our operations and finding where we can lessen our impact by reducing greenhouse gas emissions, addressing air quality and increasing the amount of energy offset from renewable resources. Transitioning to geothermal energy at our headquarters goes a long way toward accomplishing those goals." At the company's manufacturing plant in Surabaya, Indonesia, waste husks from rice grains are used as a fuel source for heating water for production. The initiative dramatically cut down on the use of fossil fuels, resulting in a reduction of 7,000 metric tons of greenhouse gas emissions annually. Manufacturing facilities in China, India, Indonesia and Mexico have solar projects for hot water heating. Three of the company's manufacturing sites – Bay City, Michigan; Mijdrecht, Netherlands; and Gorzow, Poland – run on 100 percent wind energy, while facilities in Mount Pleasant, Wisconsin (Waxdale) and Toluca, Mexico, get a portion of their power from wind. Waxdale also generates 85 percent of its energy from cleaner-burning natural gas. Methane gas from a nearby public landfill generates 28 percent of the facility's energy. The other 57 percent comes from a second cogeneration system that uses cleaner-burning natural gas. Altogether, SC Johnson's efforts have resulted in the reduction of greenhouse gas emissions in its worldwide manufacturing sites by 62 percent since the company's 2000 baseline. "At SC Johnson, we started using renewable energy more than 15 years ago to make products like Windex, Pledge and others," Johnson said. "Today, a third of our global energy use comes from renewable sources. It's an investment, but it's the right thing, now and for the future." SC Johnson's Administration Building – which remains the only operational corporate headquarters designed by Wright – opened 80 years ago, in 1939. Additionally, roughly 13,000 square feet of photovoltaic (PV) panels (or ~620 panels) will be installed on the building roofs of the company's west campus. A GeoExchange well field will be located under a northwest parking lot, and an existing boiler plant will be converted to a next-generation thermal plant. The installation of the GeoExchange system – which repurposes energy in a highly efficient manner but is not considered renewable – is the most significant of many efficiency improvements at SC Johnson headquarters. The PV panels will serve the important function of offsetting energy consumption from the grid with self-generated renewable energy. SC Johnson hopes to complete the GeoExchange field installation by the fall of 2019, with the entire campus converted to the new thermal plant by the fall of 2020. Company-owned wind turbines are in operation at Mijdrecht and Waxdale; the Wisconsin facility has two operational turbines, each standing 415 feet tall, and both requiring approval from the U.S. Federal Aviation Administration for use. At Mijdrecht, the 262-foot turbine generates nearly half the amount of energy needed to run the 3 million-square-foot site, with the remaining energy as purchased wind power. Though the use of wind turbines in busy urban areas can prove challenging, the positive environmental impacts make it well worth the effort. The Waxdale wind turbines generate 8 million kilowatt-hours of electricity per year – enough to power 770 homes. Using those turbines saves about 6,000 metric tons of carbon emissions compared to what would have been created using fossil fuels. "SC Johnson has made a commitment to diversifying energy sources and prioritizing the use of renewables whenever possible," Johnson said. "Our work is far from over, and we're excited to do our part at home in Racine with the GeoExchange system at our headquarters. But we also believe that lowering our carbon footprint around the world will make a positive impact on the communities we serve."